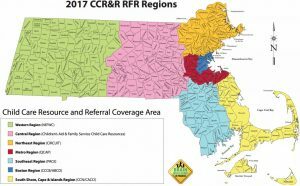 Welcome to Massachusetts Child Care Resources Online- an online resource for families, educators, and caregivers of young children. This website is designed to help and guide you as the children you care about grow and develop. Here you will find useful information, from how to locate child care and what to look for, to blogs for sharing and supporting others like you, and training opportunities to help you as you move through exciting transitions with your children. You will find pages for educators of early education and care and out of school time care to connect with each other and others in the field, to share ideas and to keep up to date on the latest information from EEC, as well as links addressing areas and issues that will help you stay on the forefront of your profession. Parent and guardians will find pages designed to help them learn how to better support their children’s development in addition to other supportive information. We are happy for any thoughts and suggestions that will make this website as helpful as possible. Thanks for visiting! !